DCU ALPHA is a business environment with a difference, designed to promote invention, inspire innovation and serve DCU’s mission as Ireland’s University of Enterprise. We offer companies the freedom to convert building space to suit their business, R&D and prototyping operations, resulting in a campus that is remarkable for the diversity of workspace formats. This is an all-purpose environment where office, lab and rapid prototyping facilities work in unison. For business innovators, the ability to unify research, testing, production and commercial functions under one roof is often of critical importance. DCU ALPHA provides this flexibility, supporting tenants by adapting our workspace to your unique requirements and offering flexible leasing options that are sensitive to the needs of disruptive business models. The ability to combine lab and office space is instrumental to the success of many DCU ALPHA tenants. An exciting lab culture is evolving on campus, spanning a wide spectrum of research across areas such as pathogen detection, connected health, wearable sensors, M2M communication and cleantech. The benefits of on-site labs to member companies are significant: we augment these by offering access to DCU’s advanced research facilities and its world-leading research community. 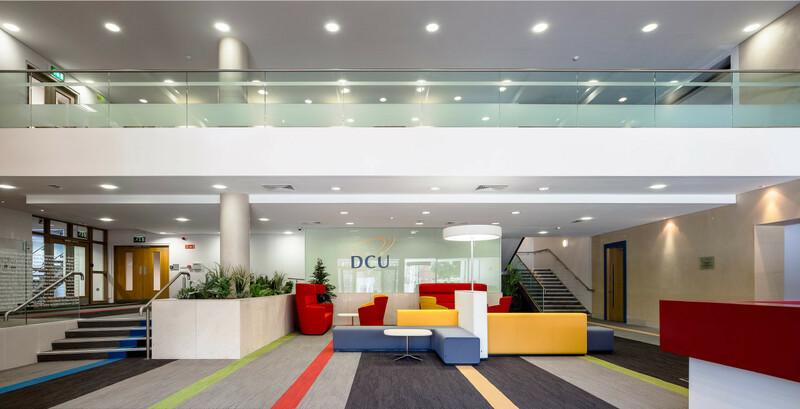 DCU ALPHA’s flexible workspaces can be adapted to allow in-house prototyping and testing. A number of member companies conduct large scale mechanical prototyping, 3-D Printing, CNC Machining and Electronics ‘Making’ within their premises. Member firms and partner businesses also benefit from a hugely successful annual series of hackathons held onsite (See our Events Section for updates). DCU ALPHA is in advanced talks with Techshop to establish Dublin’s first large-scale commercial Makerspace. A 17,000 sq ft building has been designated to house the famous US high-tech DIY workshop and rapid prototyping facility. Members will enjoy access to high-end electronics, robotics and software capabilities for a monthly subscription.